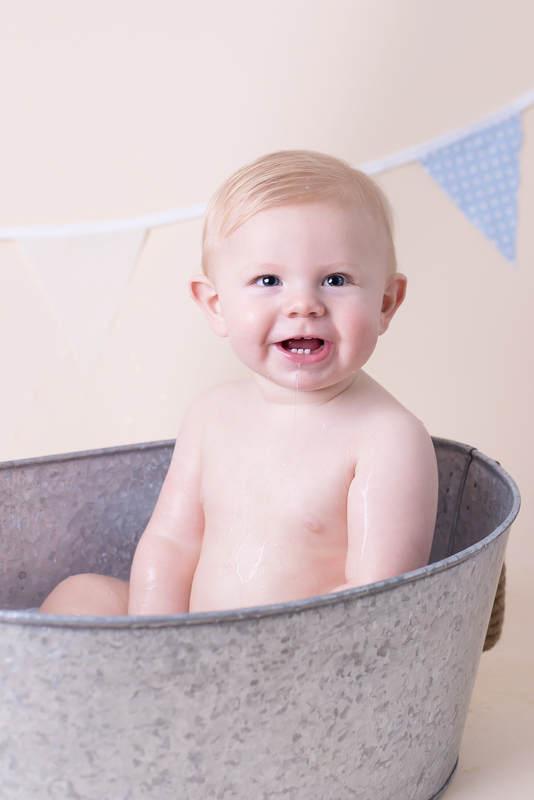 Something a little different from us today on the blog.. Cake Smash and Splash Photo shoot. 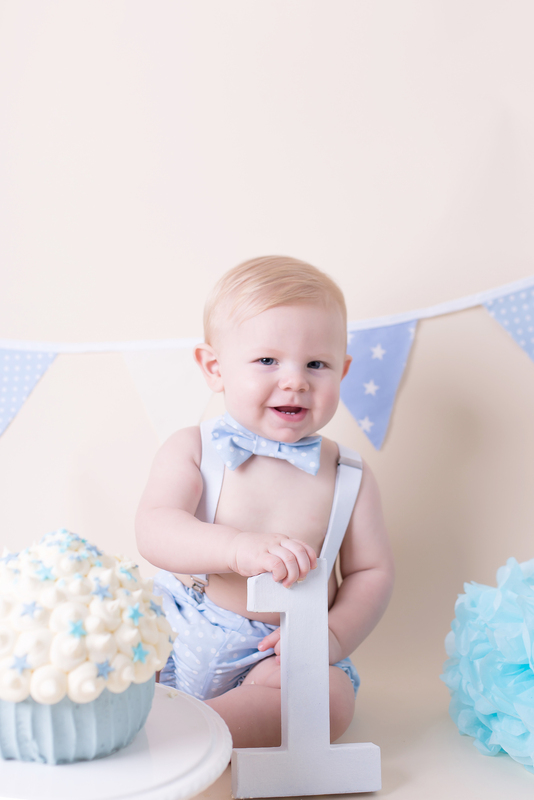 Our little boy (Arnie) had his 1st birthday on 14th January 2015 and I knew I wanted a cake smash shoot. 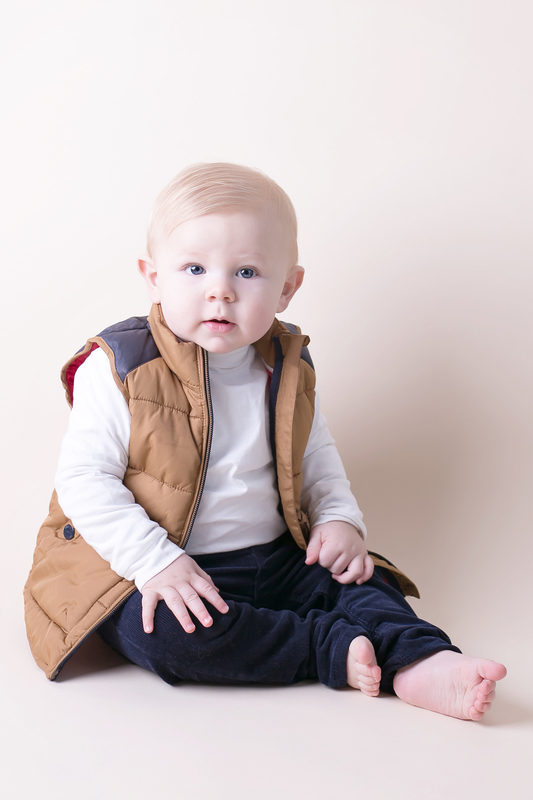 I’ve seen them everywhere and loved the idea, I was naughty and was the bad parent that didn’t do the newborn sessions so I had to make it up and how glad I am that I did. 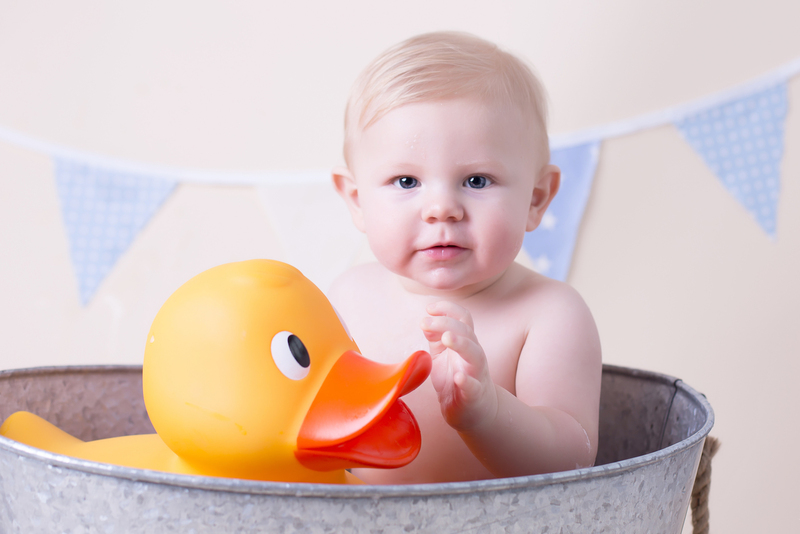 I found Debbie from Ollie and George Photography recommended on Netmums, scrolled through her work and knew she was the one. After speaking to Debbie and passing on my ‘nightmare ways’ of not wanting primary colours and being fussy of what he was to wear she instantly put my mind at ease. She pretty much had every prop going and said she was ordering more in especially for us to meet the theme. 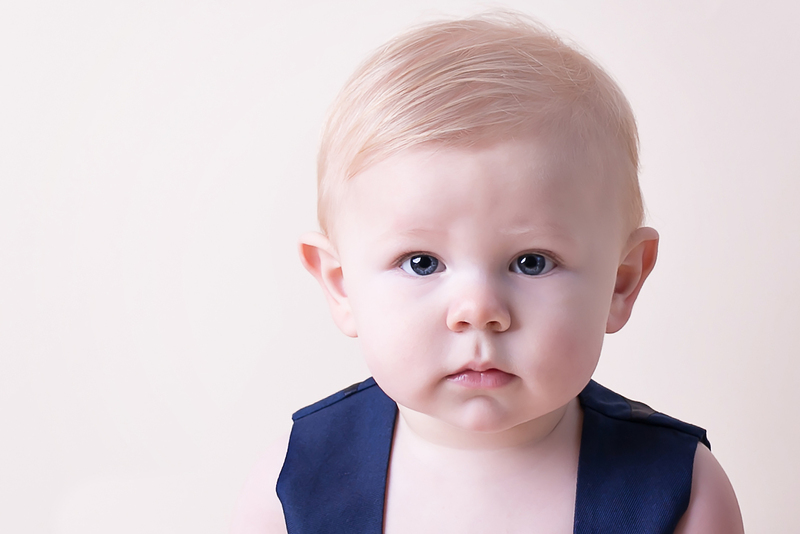 Now Arnie was recently signed to an agency in Manchester which we haven’t got round to sorting out yet so this was his first time in front of the camera, other than the million pictures taken on my phone each day! He performed where needed but as he’s now walking did like to run off from set – I was sweating, covered in cake and then bath water! 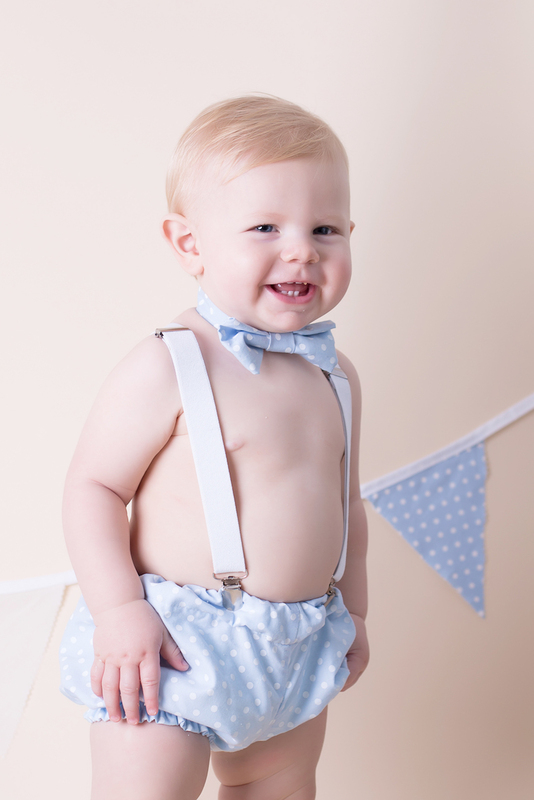 Debbie at Ollie and George photography has a little studio set up in her home with everything you could ever want. 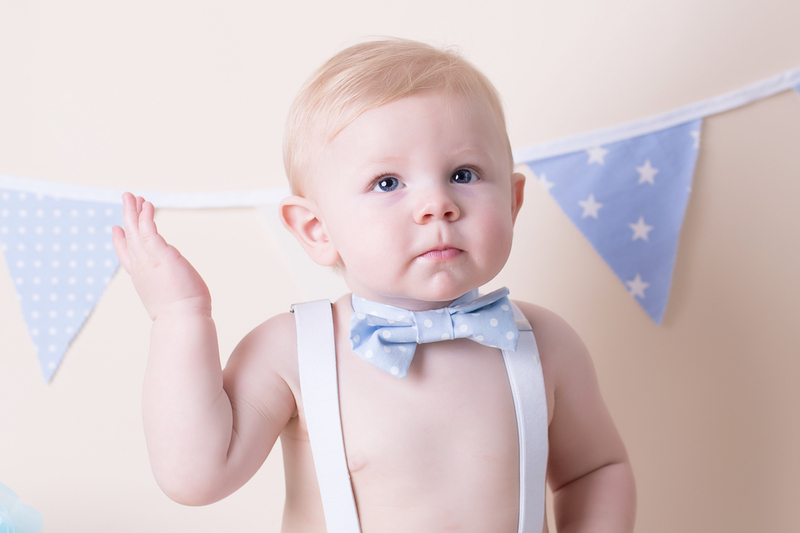 Offering newborn shoots, sitting sessions and the famous cake smash. 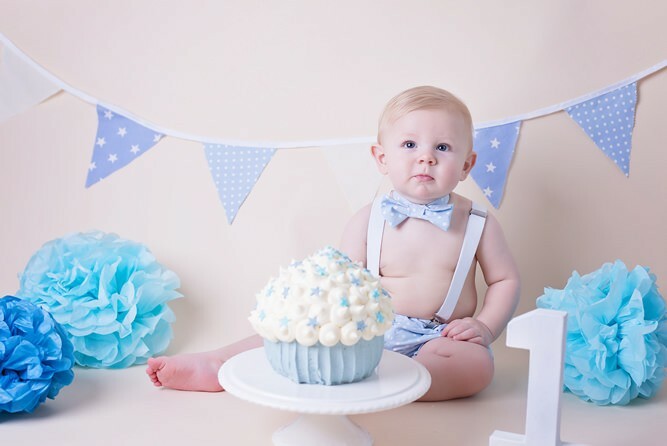 I am absolutely thrilled with the results especially as he wasn’t the best at sitting still and didn’t like the idea of being covered in cake, we may have (behind the scenes) stuffed Quavers into the cake to make him look like he was eating it!! 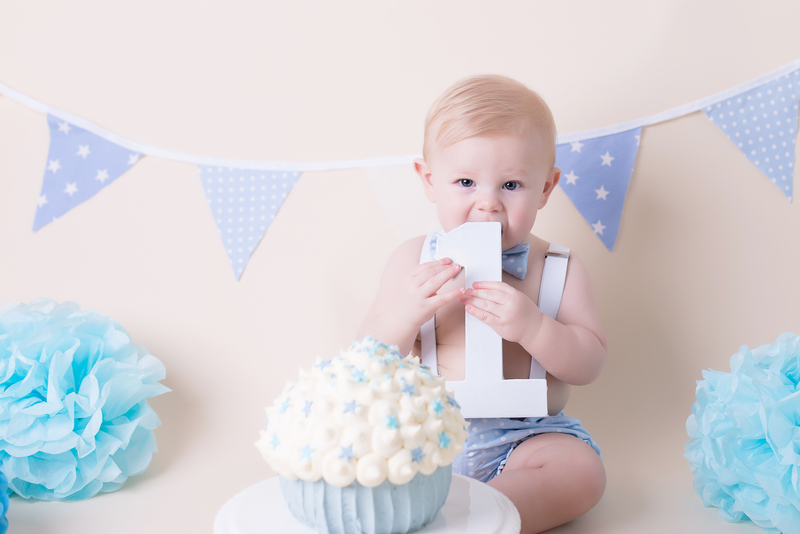 A big thanks to Debbie at Ollie and George photography and Smashing Cakes for providing the cake for the session. Check out some of pictures we choose.